Before I even kick this off, I want to start by saying I know many of you don’t like the Kardashian-Jenner clan. It’s not that I personally love them, but I don’t hate them either, and the ladies have some amazing handbags; for our purposes, that means they’re a natural fit for PurseBlog. 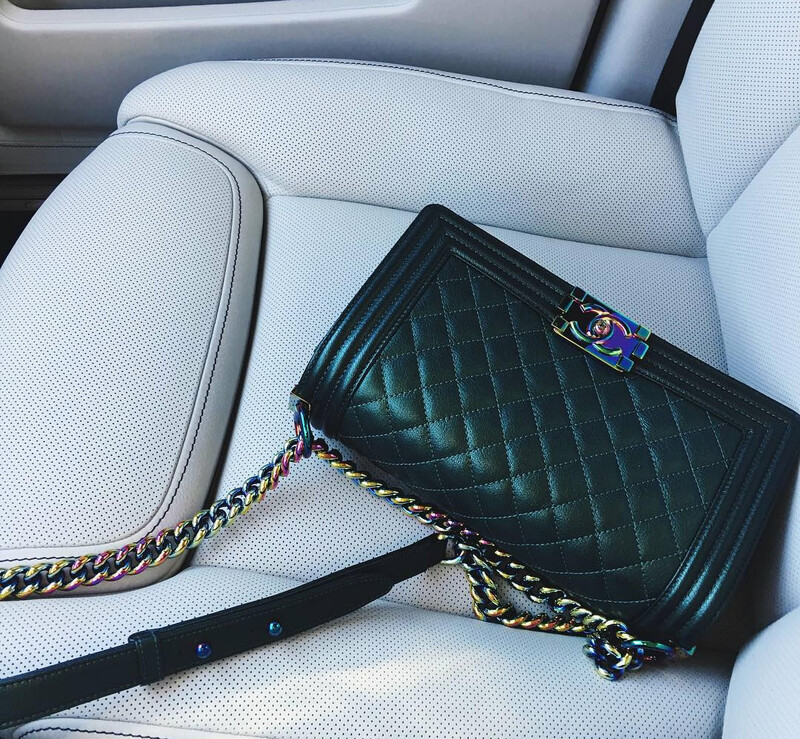 I’ve been drawn to the Chanel Boy Bag since its release in 2011, and I’ve found plenty of Boy renditions that I would have loved to add to my closet. 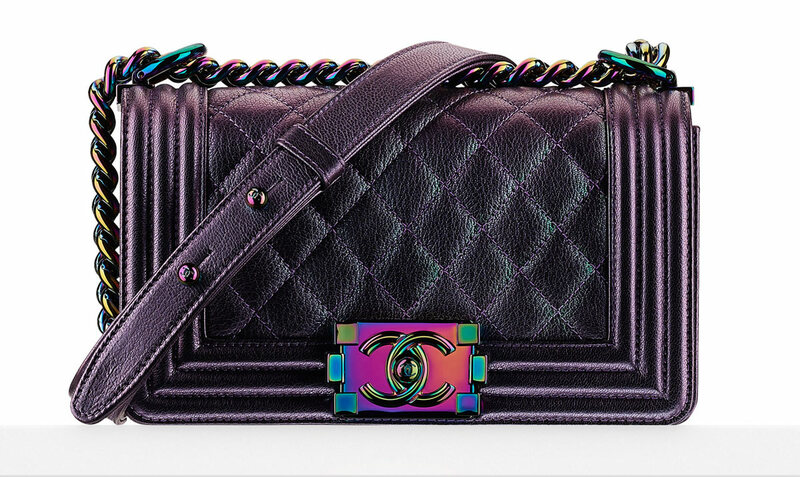 When I saw the Chanel Iridescent Boy Bag, I knew it would be loved by many, myself included. Featuring a tinge of iridescence on the goatskin leather and color-shifting hardware on the clasp and chain handles, this bag’s an immediate eye-catcher. Kylie Jenner, who has an amazing handbag collection, bought this bag for herself recently and shared it on Instagram, saying, “I never thought I was the Boy Bag type girl. But I just couldn’t resist this one ”. I feel you, Kylie’ I really do. A similar version can be yours for$4,300 via Chanel, and remember you can shop Chanel beauty and sunglasses now, too!. HELP! Can help me you authenticate?